Salafis twist the Hadith in Sahih Bukhari conceal the evil origin of their Wahabi movement. The Salafi sects claim that this Najd is in Iraq! But let’s us speak up with the truth. In the time of Prophet alaihiswalathu wa Salam, which place is considered as the Location/Division/Province of Najd?! The Hadiths clearly speaks about regions (Dominions) Sham, Yemen, Najd, those are distinctive provinces or regions. But the liars continue to lie! The Najd of the Hadith is in East of Saudi Arabia, not in Iraq. The capital is Riyadh. Riyada (Summit) of evil according to the Messenger of Allah, Nabi Muhammad alaihiswalathu wa Salam. Saudi government is based in Riyadh. Anyone who study eschatology can understand the formation of Saudi, Wahabi movement and it’s role in politics. No fitnah emerged from Najd except the spread of radical political (fake) Islam, around the world which paved the way for global terrorism, firstly against Ottoman Caliphate , then against USSR and then against Traditional Islamic world. So what is the proof for the bankrupt Salafi intellect to understand Najd is Saudi Arabia’s political summit?! Well, It is simple. If you leave your square head for a while, keep your mind and tongue in silence and listen! Which means Najd and Iraq are different places/regions/Domains! According to this Hadith, People from which region assumed their Ihram, when it comes to Iraq? Go to Saudi Arabia during Hajj and ask the Hajis to come and show their passport who came to Make Hajj from Najd and assumed their Ihram from Qarn, lets see are they from iraq or they have a Saudi passport! So there is no room for further arguments like school boys! Our Shaykh, Sahibul Saif Hazret Shaykh Abdul Kerim Al-Kibrisi (Q.S) saying about stale knowledge/taking knowledge of Islam from non-traditional sources such as universities and corrupt scholars! Today, stale knowledge is spreading in the name of Islam, wrong ideologies and advises are circulated in Facebook and Whatsapp and people are fooled to believe in such fake knowledge! This is not attack or expose anyone. But to show the world the reality of 21st century scholarship, to make them reflect on it and understand. And I ask those scholars who share this type of knowledge to understand the danger of what they are doing in the name of Islam and to come back to the straight path and to follow those who are bestowed with the Favour of Allah (Quran 1:7) to come back to the Ulool amri (Quran 4:59) , ulool ilmi (Quran 3:18) and ulool albaab (Quran 3:7) ! A study conducted by Prof. Hussain Askari of George Washington University entitled “How Islamic are the Islamic Countries” showed that most of the countries that apply Islamic Principles in their daily lives are not ones that are traditionally Muslim. Kingdom of Saudi Arabia ranked 131st. The study, published in the Global Economy Journal might be shocking to most of us but when we look around us and see the reality of the situation, we find that the results of the study are accurate and true. I believe Islam (external aspect of faith) is incomplete without Imaan (internal aspect of faith) and Ihsaan (social aspect of faith). Ponder, understand and realize this. Islam is the best religion and Muslims are the worst followers. This post was copied from a Muslim group’s leader’s profile, who might have shared it from someone else. This post itself prove that the author is a hypocrite! And those who shared this posts are spiritually blind! Because this post twists two places. FALSE SCHOLARS ABOUT WHOM THE PROPHET MUHAMMAD (PEACE AND BLESSINGS OF ALLAH BE UPON HIM) WARNED! 1- Does Islam permit slapping on the face? The postman advise righteousness to the leaders of the Muslim countries and forgetting it in his own life. He is saying he want to slap on the face of Muslim leaders for not following Islam properly and ignoring to follow Islam in his own life. Quran 2:44 Do you order righteousness of the people and forget yourselves while you recite the Scripture? Then will you not reason? SLAPPING THE FACE OF ENEMIES IS FORBIDDEN IN ISLAM: SO THE CONTEXT HOW CAN SOMEONE ADVOCATE ISLAM TO THE WORLD PREACH TO SLAP ON THE FACE OF THE MUSLIM LEADERS WHO ARE NOT EVEN ENEMIES! Abu Huraira reported Allah’s Messenger (may peace be upon him) as saying: When any one of you fights with his brother he should avoid striking at the face. This hadith has been transmitted on the authority of Abu Huraira and in the hadith transmitted on the authority of Ibn Hatim Allah’s Apostle (may peace be upon him) is reported to have said: When any one of you fights with his brother, he should avoid his face for Allah created Adam in His own image. There are many Ahadith (narrations) about prohibition of slapping or hitting one’s face! 2- Ihsaan is social aspect? The Postman lying about Ihsaan. Ihsaan is not social aspects of religion. But a spiritual aspect. To worship Allah as you see him. (see Imam Nawawi 40 Hadith, NO:2) That is a spiritual state. A methodology of spiritual purification to enable a worshipper to Focus on the Divine Presence. A perfect state of turning your face to the Face of your LORD who created and established heavens and earth. It is trained in Islam as Sufism (the knowledge of Tazkiya -inner purification) which is related in the quran (Surah shams) and Hadith as purification of the heart and soul! 3- Muslims are the worst followers of Islam? The Post man taking illogical route and says Muslims are the worst followers of Islam?. This statement is wrongly said!. The author should be focused on 21st century Muslims , rather than saying “Muslims”. When it is said “Muslims” are worst followers , that include all Prophets and all the Muslims in all generation. Such statement comes from very low esteem attitude. One Must specifically say, Muslims of today, Muslims of so and so group etc! This Notes posted with the link is copied from A Salafi Imam’s Facebook Page, WHO MIGHT HAVE COPIED FROM SOMEONE ELSE. That’s called blindly following! This type of book scholars say that sufis following pir (their shaikh) blindly. But they are not realising how blind they themselves are, by posting or sharing someone else’s post as great Islamic when it contradict basic principle of Islam, the advocating of good and forbidding of the evil doing! Which below of the weakest of the faith! The Prophet alaihiswalathu wa Salam says, in the end of times,the leaders of the people will be worst of them! Real scholars are the Heirs of the Prophets,who inherit the legacy of the Prophets from the prophets in the same way. They will not appear be with diploma and PhD of Islam. But with a spiritual lineage. Scholars of books cannot forbid evil nor can they see the evil in their knowledge, or in the knowledge of others when they share it as a good stuff, despite of having a PhD or Diploma in Islam. This is the reality of today’s world. 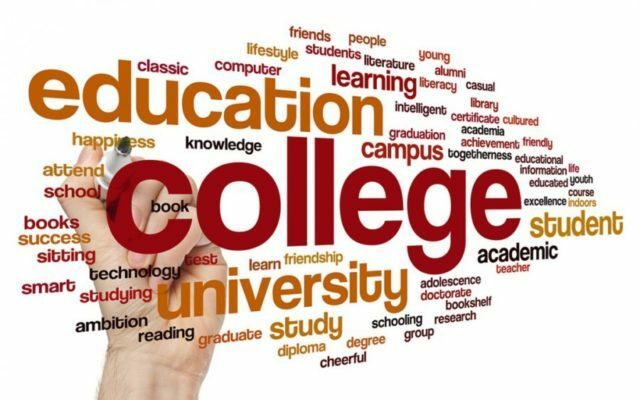 Book scholarship fails spiritually and everyone is made to believe they are upon guidance by reading some religious books and taking a diploma or PhD in Islam/religion! . Today we see so many organisations and preachers appoint unfit people to be the representatives of Islam and Muslims and they are misguided and misguide people!. They bring dishonour to this religion by their misguided acts! Zakir Naik says that, God came to Prophet Joshua (A.S) in Flesh! By quoting Joshua 5:14 Zakir Naik lying about Allah and Prophet of Allah! By quoting Joshua 5:14 and attributing it to the worship of Allah and prostration to Allah Subhana wa Ta’ala , Zakir Naik and his team making a biggest mistake . and making people to think that Allah came down before Joshua (A.S)! This kind of misquoting Bible proves that Zakir Naik is not a scholar of the Bible or the islamic scriptures, but trying to quote Bible verses desperately to prove his own vain thoughts! And if he claim some of his facebook page admin doing this mistakes constantly , then he again prove that he is unfit to lead Islamic dawah as he is appointing ignorant fools to read Bible here and there and preach it in the name of Islam! The verse in Joshua 5:14 is not Speaking about Salah/Prayer! Joshua fell on his face and worshipped the commander of God’s Army! Isn’t that shirk according to Wahabis?. If so, then why that verse is quoted to say Bible and Islam admit the same prostration? According to your salafi square head logic,it is shirk! But according to the context, he paid homage to the Commander of God’s Army! Because you fools do not understand prostration of respect and prostration of worship! Zakir Naik, you are a liar , cutting and pasting Bible verse out of the context and propagating nonsense! How can Isa bin Maryam (A.S) call Allah on the Cross when he was not crucified?! Wake up Naik Followers!, So what is this logic of quoting Mark 15:34? By quoting Mark 15:34 Zakir Naik lying about Isa (A.S) and dishonouring the Aqeedha of Islam (Quran)! 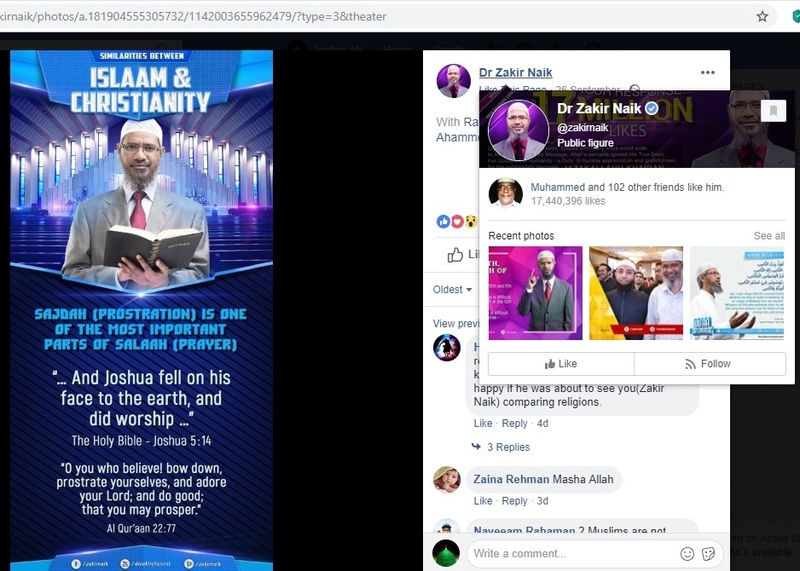 Zakir Naik by quoting Mark 15:34 and says Jesus called God Allah Eloi on the Cross, Zakir Naik indirectly telling the world that Christ was crucified! By quoting Mark 15:34 And at three in the afternoon Jesus cried out in a loud voice, “Eloi, Eloi, lema sabachthani?” (which means “My God, my God, why have you forsaken me?”). And Islam is clear that Christ was not crucified! Quran 4:157 And [for] their saying, “Indeed, we have killed the Messiah, Jesus, the son of Mary, the messenger of Allah .” And they did not kill him, nor did they crucify him; but [another] was made to resemble him to them. And indeed, those who differ over it are in doubt about it. They have no knowledge of it except the following of assumption. And they did not kill him, for certain. Why we should listen to the Wolfs in sheep skin?! Naik, yusuf estes and Harun Yahya together declared that they are Mahdis in Harun Yahya TV, and you believe in this False Mahdis and taking their free tickets to the Jahannam! Did isa a.s call out “Allah why have you forsaken me” on a cross? If he didn’t do that then why are they quoting this Gospel of Mark and says isa a.s called out Allah’s name on a Cross there!? So wake up people , follow the truthful guides and creeds!